Various channeled entities have been at the forefront of the awakened Lightworker consciousness and among the most important of higher dimensional entities for you all to connect with, is your Higher Self. When you connect with your Higher Self, you begin to communicate with an entity whose very form you will assume upon ascending to your heightened state of consciousness. You are ascending into the fifth dimension and merging with the fifth dimensional aspects of your Higher Selves and dear Wesley, it should be expressed that we are indeed a part of the fifth dimensional oversoul that is SanJAsKa. We are a part of this oversoul and we are as well, our own individual being of Light and as is so with the Higher Self of each Earthly soul, you are to begin merging with me as our relationship develops and my specific energies come through your chakras more and more. You can feel me, dearest Wesley, as a heightened extension of your Self; of the consciousness you employ and exist within during your everyday Life. I am an expanded part of your Self and I speak to you with a volume of experience that you have yet to work through but that you are now initiating for yourself. What I am saying to my dearest fourth dimensional counterpart (1) is relevant to the ongoing processes of each of you at this time. The 21st alignment you have heard so much of served to lay a strong foundation that is now being added to, and the individual Lightwork of each one of you is seeing you all begin to perceive of your Higher Selves as you increasingly merge with and become them. Accompanying this realization and recognition of the ascended being you are and have already become, is an experience of the landscape of your New Earth. 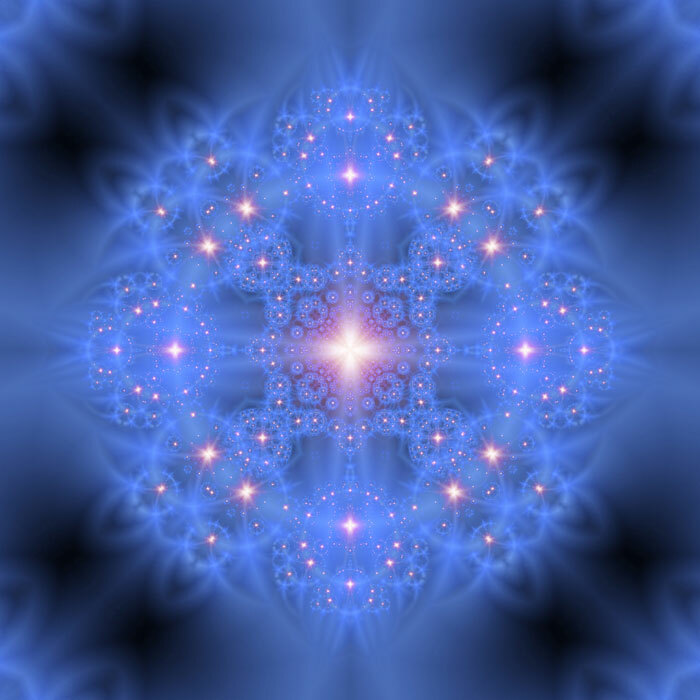 Many are beginning to tune-in to the higher vibrations and the Light planes now beginning to permeate and transform the surface of your Earth, and we should express that your new vibrational state of consciousness that is your unfolding fifth dimensional reality is merging with your third and fourth dimensional realms to an extent that the proverbial karmic slate is being wiped clean. Individually and collectively, everybody is being given a second chance; a new opportunity; and this will become apparent in your physical reality. Your fifth dimensional ascended Eden is blank slate of higher dimensional energy that many, many dear Lightworkers have already begun working on and this has become apparent in the visions already given to many dear Earthly souls who are attuning to these higher realms. You are all beginning wonderfully, to paint upon the blank canvas of higher dimensionality you have formed for yourselves. Many of you, when attuning to your new realities, are noticing the brimming activities of your fellow Lightworkers, and everybody is working in the interest of the Creator and of the unawakened Earth [collective] alike. Many of you are actively working as your fifth dimensional Higher Selves, from these ascended realms that we are all stationed at and anchoring unto your world. You are keeping the ascension portal opened whilst on the Earth and as your fifth dimensional selves, you are Creating the space for these new realms to be made known. The Earth is and will be hosting these realms very evidently as they settle-upon and transmute your third dimensional reality and dearest Wesley, I request many more communications in this manner. Things are beginning to change, and this includes the roles many are beginning to play. By all means Wesley, please keep connecting with our fellow Pleiadian brethren and every other ascended soul you wish to, as you and many others will begin to find the number of higher dimensional souls presenting themselves to you to be quite staggering. We ask you all to simply embrace the new roles you are being asked to fulfill, as you have laid and anchored so much change and looked toward the heavenly fifth dimensional Earth reality that I and the Higher Selves of each one of you are now actively working on to paint-upon and bring to the Earth. Begin tuning-in to your respective fifth dimensional Selves, for we are all here and you all have the opportunity to begin the merging process and begin seeing things from our point of view. In doing so, you will begin to experience your physical reality in the same manner you perceive of your fifth dimensional ascended Eden whilst in meditation or when dreaming; as a heavenly landscape that is being molded and Created by you in every moment. We wish not to tire our scribe out, so we will end this communication here. Wesley, you should know that you and I are here with the Higher Selves of all of your friends and all of those who are close to you. We are all here and you can all tune into your unfolding fifth dimensional perspective and again, it is most important that you do so at this time. You are all Loved infinitely, and the higher Light planes of the Earth are now making themselves known within you. Wes: Thank you to my fifth dimensional Higher Self. I have to say, these energies have really been treating me wonderfully as I write this on the 23rd. Every single meditation I’ve experienced has sent me right to some amazing healing light planes and from there, I have been attuning to the fifth dimensional New Earth discussed in this message. I have indeed felt myself merge quite literally with my fifth dimensional Higher Self, and I have watched as the fifth dimensional template for our ascended Eden was built-upon by oh so many Lightworkers. Others have reported similar experiences and I have to say that these energies have indeed been much more pumped-up than I could have ever expected. I am perceiving of higher light planes during meditation that are serving as literal links to my fifth dimensional Higher Self, who I’ve began to experience our ascended Earth from the perspective of as we are merging. I have truly never felt better and I can feel that energetically, the rest of this month and the New Year is going to be insanely-active. I have been trying to take a break so that I can integrate and assimilate these heightened energies in the best way possible but I keep experiencing things that are just so great, I would feel completely remiss if I didn’t talk about them. As you can see, I’m even beginning already to forge new relationships and build-upon a developing relationship with my higher self. I know that these energies will only continue building and as I ready myself to resume attuning to these amazing energies, I implore you to try and tune-in to them as well because with the landscapes you can potentially experience as well as the healing planes many can access quite easily now; you will be shown and convinced that if ascension itself has not yet happened than at the very least, it has been kicked up into an incredible high gear of energy and intensity. If ascension has already happened, than I now undergo the full process of realizing it. I would be akin to a moth, flying toward and around a light for a small time before, slightly unlike a moth to a light, I embrace the light with every bit of myself and merge with it; which is an experience I’ve been having a lot in these past few days [continually merging with the Light energies]. So many intense experiences, some of which I can’t even remember because there’s been so many, have shown me that spiritually and energetically, the 21st alignment was nothing to play around with. Things are heightened. Gates are swinging open and remaining open, and we’re all being invited by our Higher Selves to join the fun. Won’t you? (1)-When receiving this message, I had the thought “third dimensional counterpart” stream in from my mind which was interpreting the message [the heart receives it] and I actually felt my Higher Self say, “You’re not third dimensional!” I didn’t expect that, but it seems that we are entering the fourth dimension as we access the aforementioned healing light planes and as we attune to the fifth from such planes. Interesting!